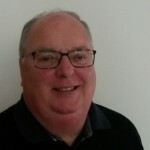 Mark Hardy is a Solicitor who has worked in the pharmaceutical sector for over 30 years. Since stepping down from full time employment to become a consultant Mark has devoted a large amount of his time to work in the voluntary sector. This includes being Vice Chairman and a Trustee of the British Safety Council, a Liveryman and Past Master of the Worshipful Company of World Traders, a Governor of a number of Schools, President of Leighton Buzzard Rugby Club as well as supporting Kids Out.